Hello everyone! It's my turn over at Twine It Up! with Trendy Twine today. But I only have a quick sneak peek for you here. 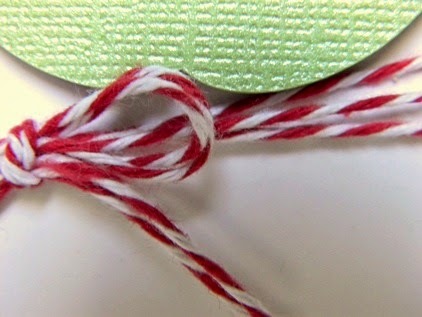 I used the fabulous Cranberry Trendy Twine on my card today. Please head over to the Twine It Up! blog to see the whole project and some more details. Now, be sure to check out all the fun projects on the blog all month long, and on the Twine It Up! with Trendy Twine Facebook page. 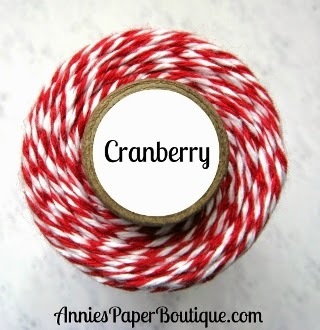 Visit Annie's Paper Boutique for your twine and packaging needs. Last, but not least, please join in our fun Happy Halloweenie Trendy Twine Facebook Hop this Saturday--we have some fun projects to show you!! I love this! The white background is so pretty. It make the care really pop.